Johanna was a 40 y/o woman I saw a few years ago who had been experiencing LBP for about 12 years. She had degenerated discs down the length of her spine. Her pain was constant and severe. She had been disabled since her pain began at work while lifting. When I explained to her that disc degeneration does not cause back pain she became upset and explained to me that she really had pain. It was my role as a surgeon to fuse her spine to relieve it. I tried to tell her that I knew she was experiencing pain but that the success rate of a lumber fusion for her situation was a 15% return-to-work rate at one year from surgery. The unplanned re-operation rate for a one or two level fusion was 18-20% within the first year. I had given up doing surgery for LBP many years ago. The data did not really matter to her. When I explained that we had witnessed hundreds of patients become pain free by addressing all aspects of pain in a structured approach she really flipped out and began to yell at me. After another half-an-hour of trying I gave up. I gave her a copy of the manuscript to my book. I suggested that she take a look at it and if she was interested we would be happy to help her through the process. She went on to have two spine fusions with the outcome being worsening pain. I have since lost track of her. Just reading my book will do nothing for you. It is not a formula. It is a set of concepts that allow you to create your own pathway out of pain. 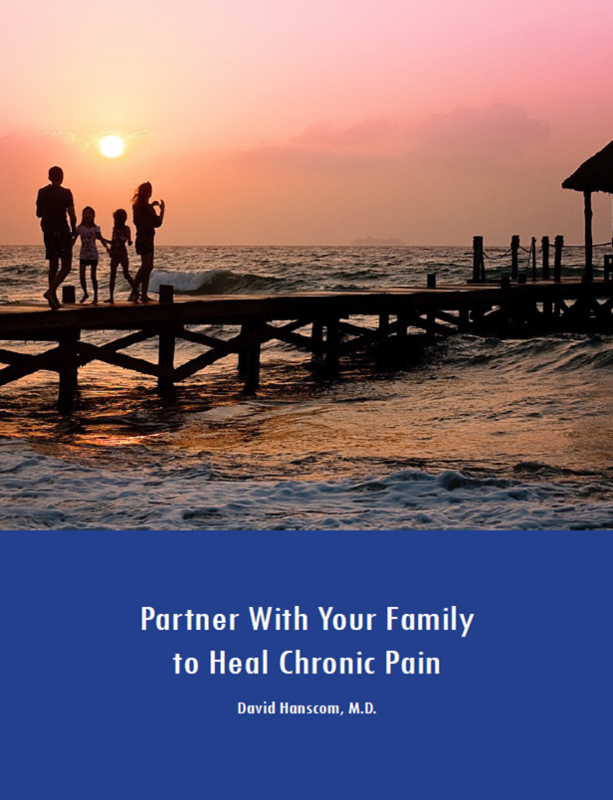 It is also my own story out of chronic pain that I have shared with my patients. The process has evolved as I learned from their successes and also changed my own approach. The challenge I face every day in clinic is the last one about the patient taking charge. About half the patients we see will not engage at all. 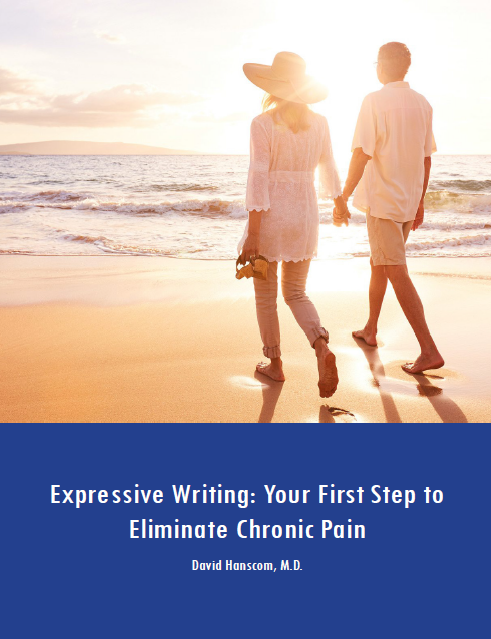 It does not matter if it is looking my book or learning any information about chronic pain. They just want to be fixed. Since I am the surgeon, I am the “definitive answer” and it is my responsibility to get rid of their pain. It does not matter when I explain to them the surgery has a dismal success rate and that we have watched hundreds of patients become pain free using a structured approach. The rest of the conversation is similar to a book review I just received on my Amazon book review section. Here it is. Years ago I learned that as soon a patient tells me that I must be missing something and that they don’t have any anxiety or anger I am finished. The problem is that they simply are not connected to it. You cannot experience chronic pain and be happy about it. Family members in the room often begin to shake their heads. If both halves of a couple say the same thing the problem is even bigger. I know a lot about this because I was not connected any of my anger issues until I was 50 years old. Six months later, after I had no choice but to acknowledge and engage my anger, my Mind Body Syndrome (MBS) symptoms began to disappear. The elephant in the room is that they are experiencing chronic pain, which is just one of over 30 symptoms of MBS. Anxiety and anger are core symptoms. If you are not connected to these emotions your body has a choice of many other symptoms that it can and will choose from. Chronic pain is not a normal state of existence and your body is trying to talk to you. One symptom of MBS is obsessive thinking patterns. The thought that “the doctor is missing something” or “I really have this pain so there has to be something that can be fixed” are some of the more common patterns. Unfortunately this is the symptom that also blocks effective treatment. It is a situation similar to phantom limb pain. About 50% of patients who have a limb amputated experience the same pain they did before the amputation. The pain circuits do not turn off even though the obvious structural source has been definitively removed. Obsessive thinking patterns are not rational and also do not shut down easily. Reasonable explanations do nothing to break through irrational neurological circuits. It took me many years to figure this out and it is counter-productive to engage them. I feel bad because I know what is possible. Usually these patients have essentially normal spines for their age. Discs degenerate with age and are not a cause of LBP. With engagement and using a structured approach, the chances of attaining a pain free existence are very high. We are actively searching for better avenues to present these solutions in a way that will convince a higher percent of our patients to take control of their care. Right now we just have to let go quickly although we are always open to seeing them back. I have learned that I am much more trapped by my mind than my circumstances.